Criminal law is a pretty broad area for every lawyer. It described all the criminal liability actions of a man as a group of rules, norms and legal regulations under penalty of law. This law regulates forbidden actions, and in terms of their „weight” it can divided into offense law, which is relatively low harm crimes and the strict criminal law, which is actions that are highly harmful to the society. When handling your case, we assure and guarantee that we will be your representatives in every moment of the criminal proceeding. It is our client’s well being that matters to us, therefore we know that cooperation in every moment and in all kinds of proceedings is incredibly important. Business crime is an increasingly hot topic and increasingly common crimes. 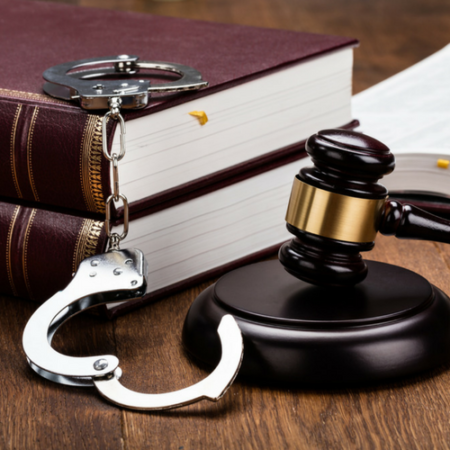 One of the specialties of our law firm is business law and business crime, so we take all of your problems apart, analyze them and find a legally just solution that will turn out to be the best. Our law firm employs criminal and business law specialists, thanks to which we can provide professional counseling in the area of criminal liability in business crimes. Our experience shows that the most common crimes are corruption and counterfeit products. Criminal law is represented in writing by Penal Code, Criminal Procedure Code and Executive Penal Code. They contain all the legal provisions and norms and regulations that citizens have to follow, and in the even of violating them, take liability for their action. The above codes apply to everyone with no exceptions. Stryjewska Law Firm – Cagnetta & Partners also works with a trusted detective agency, so that you can, despite your assertions or speculations, get solid evidence, or learn additional information on a particular topic. We also work with appraisers and assessors, through whom we can take a better look at your cases, evaluate their further development and make a decision about undertaking particular case.